Large 5 bedrooms detached house. 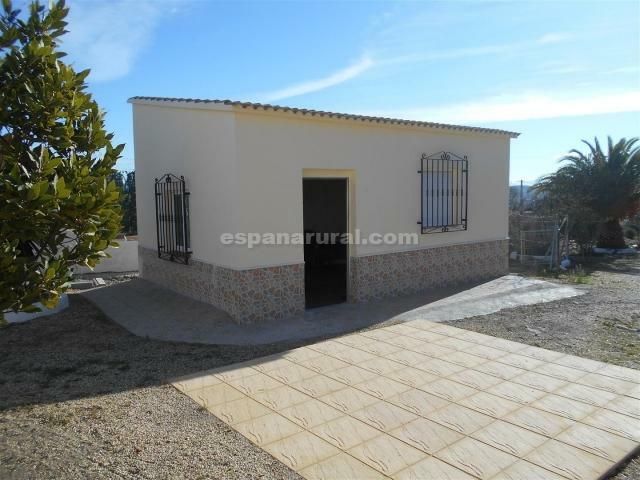 This large property for sale in Almeria, is situated a short distance from Partaloa Village where you will find all the amenities and also 10 minutes to Albox Town. 1st floor; there a lounge/diner with fireplace, a fitted kitchen/diner, three bedrooms one with an en suite bathroom, a family bathroom. 2nd floor, there are two bedrooms, and three sun terraces which have beautiful views of the area. The garden is established planted with various fruit trees, it is walled and gated. Good access road and to the Motorway too towards the Almeria Airport and coast of Vera Playa, Mojacar, etc. Large Villa for sale in Almeria.